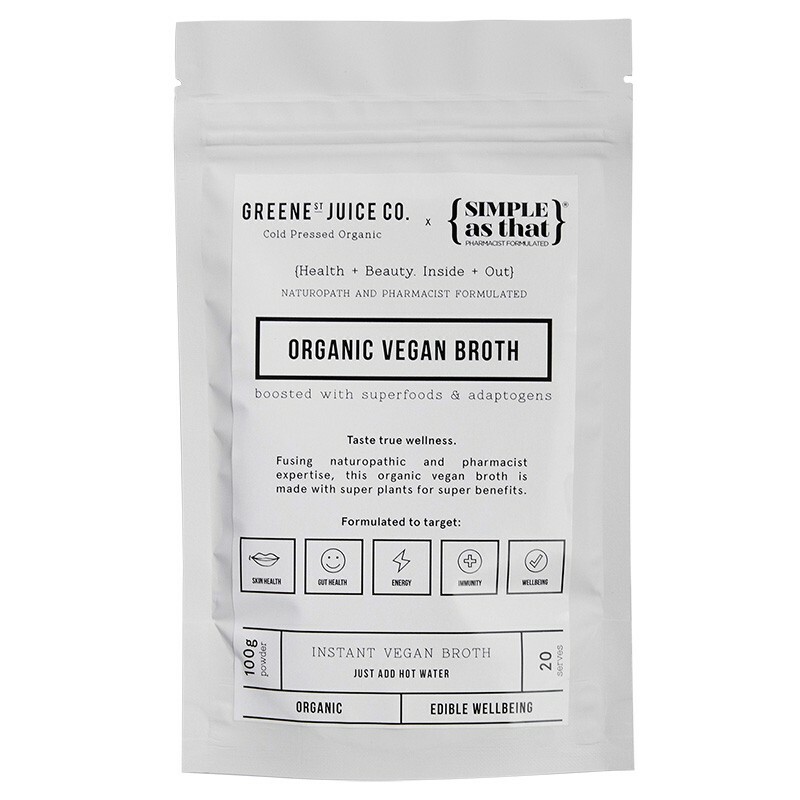 A joint venture between Greene St Juice Co and Simple As That, this organic vegan broth is the fusion of naturopathic and pharmacist experience and expertise. 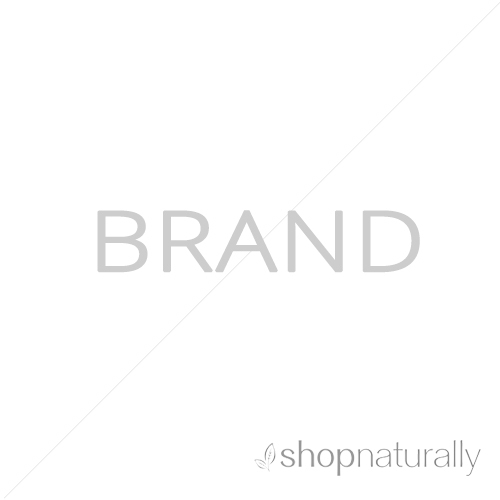 When most people think broth, they automatically think bone broth. While a bone broth has a specific set of nutrients, there are many ways to formulate a highly functioning food from vegan ingredients. 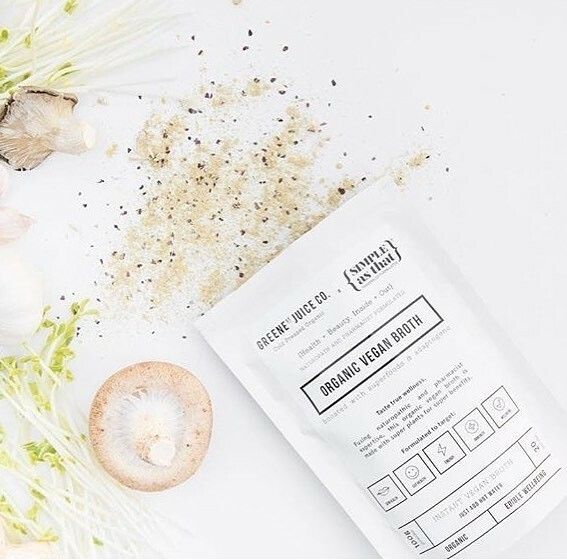 This Organic Vegan Broth is formulated with superfoods and adaptogens (maca and reishi) to assist with skin health, gut health, energy, immunity and general wellbeing. Each bag has 20 serves and it can be sipped as a drink by adding hot water or you can use it as a nutrient and flavour base for pasta, soup, quinoa, risotto and lots more. Brown Rice Protein Powder, Onion Powder, Garlic Powder, Pink Salt, Nutritional Yeast, Ginger Powder, Chia Seeds, Sea Vegetables, Tumeric Powder, Black Pepper, Lemon Peel Powder, Maca Powder, Shiitake Mushrooms, Broccoli Sprout Powder, Reishi Mushroom, Spirulina.